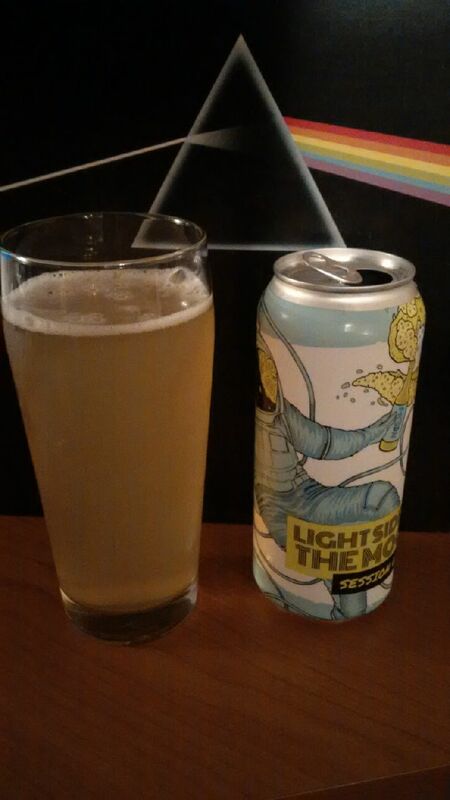 From Victoria BC’s The Moon Under Water Pub & Brewery comes their brand new seasonal Session Lager named “Light Side of the Moon”. 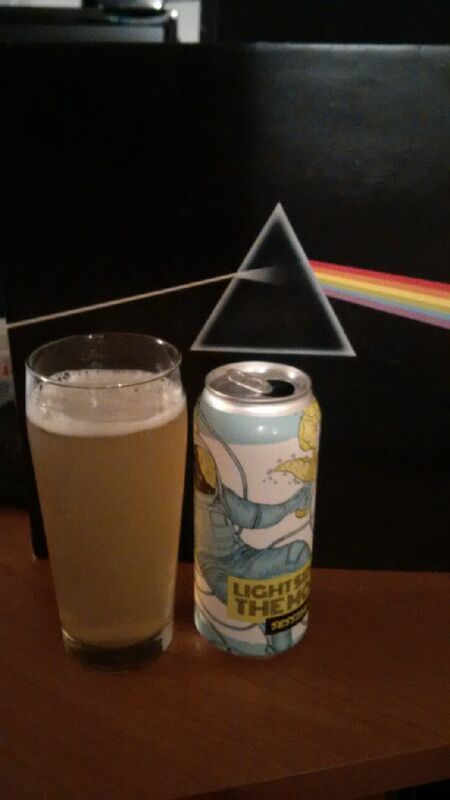 With the play on the name I thought it fitting to suggest a Pink Floyd song from their album Dark Side of the Moon. This session lager pours a cloudy light golden colour with a white head. The aroma consists of melons, orange, rice malts and floral hops. The flavour is of oranges, orange peels, melons, malts, some rice and some very mild hops. Usually I am down on the use of rice in beer as the beer is filtered to remove the flavour it brings on. It is usually used as a cheaper malt but with this beer it is used well to add flavour to this low alcohol unfiltered lager. The alcohol content comes in at 4.2%. The flavour is light as to be expected with a session ale or lager but it is still very tasty. Commercial Description: Unfiltered craft lager brewed with rice malts and sweet orange peel for a dry, refreshing finish. Welcome to the Light side of craft beer. This entry was posted in Lager, Session Ale and tagged bc, canada, lager, light side of the moon, malt, malts, malty, melon, melons, mild bitter, mild bitterness, mild hops, moon under water, Moon Under Water Pub & Brewery, orange, orange peel, orange peels, oranges, rice, session, session beer, session lager, some rice, very mild hops, victoria. Nice use of the record! Haha thanks! I really like the album and the beer name is a great play on its title.